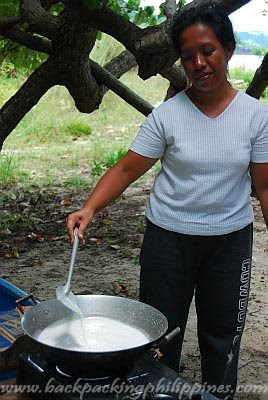 Cooking the Bicolano food is not complete without the ubiquitous coconut and chili. 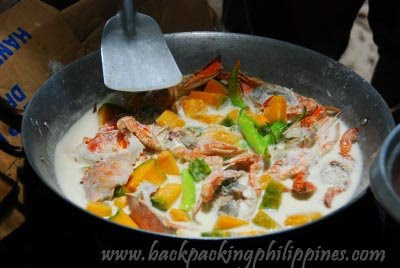 During the Camarines tour, Tutubi and his friends were again introduced to authentic cuisine of the Bicol region using fresh catch from the sea bought from local fishermen. Bicol's most famous dish, Bicol express, whose main flavoring ingredient is bagoong alamang (fermented shrimp), wasn't served that day but laing (taro leaves in coconut milk) was sampled as well as sinantol (grated wild mangosteen in coconut milk with smoked fish, different from Tutubi's favorite sinantol recipe from his hometown using bagoong alamang). Thanks to Tutubi's friend from Daet who toured the group, and cooked food for them stranded souls on a remote island in a scene similar to the upcoming Survivor Philippines! yummy post. i have some more leftovers of the laing my nonpinoy husband cooked for me. it was like the ones i take out from pinoy restaurants. I think I'll go and have breakfast now, you're making me really hungry. There is a rail strike on here, I've been on the road since 5am and in the offe since 6:30.
carlotta, tempting to eat and eat? kagutom! kaya lang bakit meron extra dun? hehehe ... for me the best ang "tinumok", hope next time you visited cam. norte, we should be able to try it. Thanks for visiting camarines norte! You know I love see food, but this cooking is very different from the Norwegian kitchen - thanks for sharing as it is very tempting! di po ba Laing na maanghang ang specialty nila ? masarap yun. d po ba maanghang na laing ang masarap dyan. pahingi po. pinoy na pinoy talaga. hmmm...ang sarap! Bigla ako nagutom. sarap ng maanghang sa gata. yummy. ang sarap naman. pinoy na pinoy. I tasted Laing and I absolutely loved it! I wish I could have some Filipino dish now ... Haay. Im going that way on my RTW trip! Cant wait! Ha! I know how to use the kudkuran! That's exactly how my mother would cook the crab. You got the ingredients right more or less. Though I'm not sure if the critter is strictly a crab. We call it alimango. As for the recipes and my additional comments, you may want to check this entry. 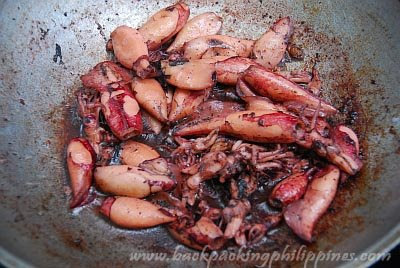 tutubi, i am from bikol so i am familiar with this type of cooking. actually, when i go home, i always hop on the kudkuran to make sure i still know how to use it and i still do. 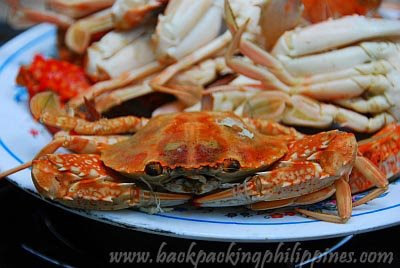 crabs cooked in gata with sili is one of my favorite bikol dishes. it tastes heavenly! i can't wait to get home. andy, nice place and great food. enjoy! belles, will take a picture of the kudkuran at home. we have one. yum!